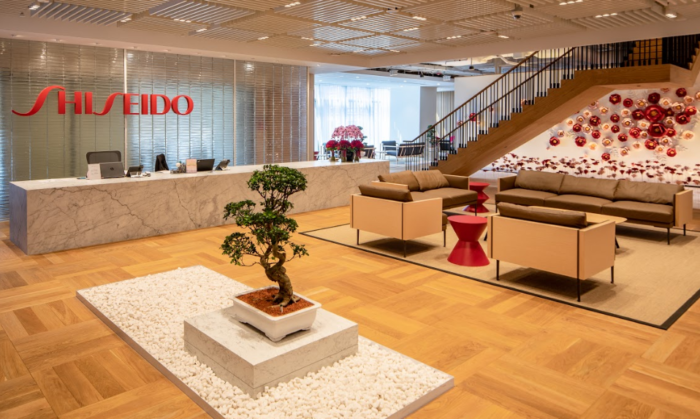 As part of its VISION 2020 corporate transformation, Shiseido has opened a new office hub in Singapore to house its regional headquarters of Shiseido Asia Pacific. The company aims to focus on accelerating growth in the second phase of its medium-to-long strategy. The company also said in a press statement that the centre enables Shiseido to achieve growth through marketing activities attuned to the needs of regional consumers and global travellers. Closer to key markets in Asia, according to the company, allows the firm to leverage the region’s potential with its rising middle-class population. The growth in the premium beauty segment in Asia Pacific is forecasted to increase by US$4.4billion from 2016-2021, while the mass beauty segment is expected to achieve more than triple of the amount. Marketing has reached to Shiseido for additional information on its growth plans. As Asia Pacific also represents a key region and engine of growth for the global Travel Retail channel, the company said that the proximity of Shiseido Travel Retail aims to “empower and guide” the team alongside this growth. The company also looks to increase investment in its brands, talent development, beauty innovation and business activities that will “sustainably” impact society. “Our new regional headquarters is testament to our solid growth in Asia Pacific over the past few years and my commitment to our consumers and employees in the years to come – I am looking forward to our expanded capabilities in leadership that talent development, innovation and harnessing deeper Asian consumer insights. These will play a critical role in accelerating our growth across the region,” said Jean-Philippe Charrier, Ppesident & CEO, Shiseido Asia Pacific. Lesné added that the new office for Shiseido Travel Retail aims to be a place of “innovation, creativity and collaboration” for its global and Asia teams. “We hope that this office will be a place to inspire our team and partners in new ways of thinking, continuing our journey in finding new and fresh methods of engaging our hyper connected travelers and pioneering new forms of retail entertainment,” he added. The new office will house a “Asia Learning Centre” where the brand will train approximately 2,000 Shiseido employees from Asia Pacific, Travel Retail, Japan & China each year. Its programmes aim to develop leadership, function-specific and innovation skills and behaviours that are critical in supporting growth and bringing out the “best” from employees for Shiseido’s “continued success”. The “Asia Pacific Innovation Centre” is said to enable open-source innovation, Asia Pacific consumer research, as well as create and localise a portfolio of products for the Asian market and climate. Lastly, it will host the “Life Quality Beauty Centre” which provides private, specialised make-up consultations to consumers with significant skin concerns such as port-wine stains, nevus, scars, vitiligo and changes in appearance due to the side effects of medical treatment. In November last year, Shiseido appointed Grand Slam women’s singles tennis champion Naomi Osaka as its new brand ambassador. Osaka will be the new face of Shiseido’s beauty brands, ANESSA and bareMinerals. The move comes months after Osaka won her first Grand Slam championship, beating renowned tennis champion Serena Williams. The company also reinforced the regional headquarters system that oversees the business in China. As such, Julie Chiang was appointed as CMO of cosmetics brands & personal care brands of China Region. Prior to the latest appointment, Chiang was CEO of Sunnyhills Company. Chiang also worked for L’Oreal Asia from 1998 to 2009. Will you let a Shiseido chatbot be your beauty consultant? The introduction of mid-roll video ads would represent the first time when video publishers could make real money from the clips t..